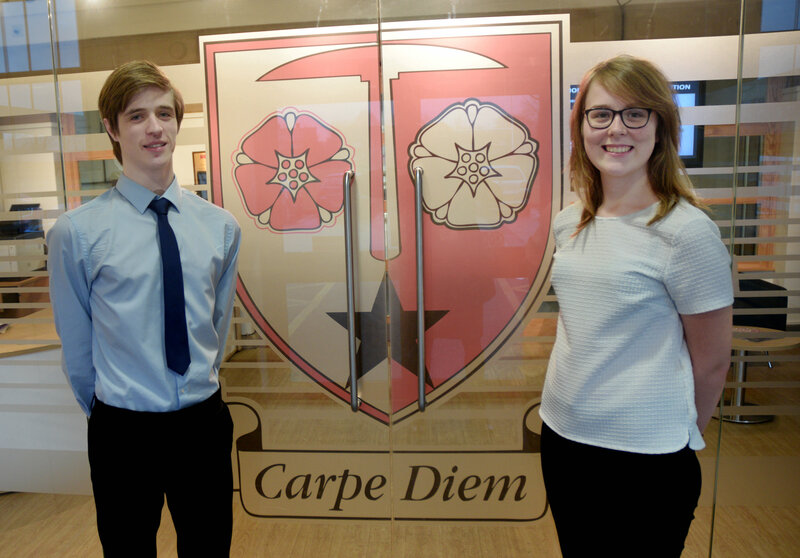 Congratulations to Year 13 students Rachael Bragg and Daniel Beech. Rachael and Daniel gained places at the countries top universities Oxford and Cambridge, where Rachael will be studying History at Pembroke College Oxford and Daniel Natural Sciences at Trinity College Cambridge. Headteacher Jeanette Saw said 'We’re immensely proud of Rachael and Daniel in securing places at such prestigious institutions." Rachael, who studied for A Levels in History, English Literature, Politics and Maths has been offered a place at Pembroke College, Oxford, to study History. Daniel has been granted a place at Trinity College, Cambridge, to study Natural Sciences, after obtaining the required levels in his A Levels in Chemistry, Physics, Maths and Further Maths.